Find and fix the true source of your health issues with clinical naturopathic testing, powerful natural medicines and expert advice. Our practitioner, Scott Hankinson, is both a Naturopath and a Chinese Medicine Practitioner at our clinic in Ringwood, Melbourne, and embraces both traditional medicine and modern science. He honed his expertise over 21 years of practice and has delivered real wellness solutions as well as fast, effective relief to thousands of clients. These are just the most common health conditions we treat. Please contact us if you would like specific information on whether we can treat your health condition or concerns. Hey! Did you know we have loads of 5 star reviews online? Check them out at Google+ and WOMO! Book Online - Too Easy! You can book online straight away if you'd like to. Or, read our guide to help you decide which kind of initial appointment would suit you best, as we offer a range of services (or call us on 9876 8786 if you'd prefer to speak directly with us). Free Inflammation Test Valued at $43 with your first Naturopathic Appointment. Please mention this website when you make your appointment to receive this special offer. Find out how inflamed you are and to what degree your body is in a state of degeneration so you can take action if necessary. Our test also identifies the level of toxicity in your body, which is closely related to inflammation and degeneration. Testing is done using our Asyra advanced bioresonance scanning equipment, which is currently one of only several in Australia. Complete Organ and Body System scans are also available if you would like a full overview of your health. Call us now on 9876 8786 to make your first naturopathic appointment and remember to ask for your free Inflammation & Toxicity Test! 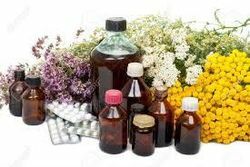 Using the guidance of an experienced naturopath is nowadays the very best means available to return to a state of true health. 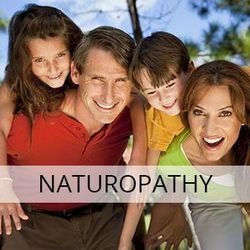 Keeping your body clean on the inside, minimising the degeneration of ageing, preventing you from falling victim to debilitating (and fatal) diseases and helping you to lead an energetic and vital life, are all areas that are the domain of the Naturopath. While we mean absolutely no disrespect to the medical profession – we see doctors as essential to health care, in particular emergency care – doctors are simply not schooled in the intricate science or inherited knowledge of nutrition and herbal medicine. Regardless of their mastery of medical science and expert management of acute health situations, they are not taught how to successfully treat chronic conditions beyond suppression or management of symptoms. 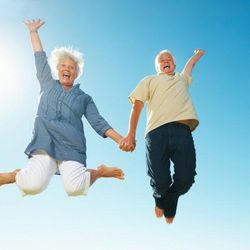 At Natural Pain Solutions we successfully treat chronic conditions every day. Our approach is that your body wants to heal, and has a built-in natural healing ability. To observe the natural self-repair of a child’s skinned knees is to witness this everyday miracle. In fact, your body is constantly repairing itself, whether from viral damage, muscular strain, oxidation from toxins and mental stress … all kinds of inflammatory processes are continually being generated by your diet, lifestyle and environment and are being repaired by your body. Problems begin to occur when your body is not getting the correct nutrition, exercise or cleansing it needs to function optimally and self-heal. Eventually, these problems may result in a pathology that can be detected using medical diagnosis tests and hey presto! You have a disease. However, as sudden as it seems, in reality your body has been moving towards a disease state over a period of years. Naturopaths focus on discovering the true cause of your ill-health. 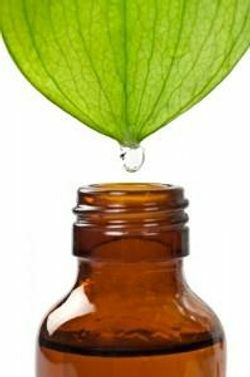 In naturopathy, we don’t diagnose disease states (that is the doctor’s domain) – instead we use clinical naturopathic testing to identify nutritional deficiencies, hormonal imbalances, heavy metal and toxic loads, parasite impacts, pH levels, cell health and a whole lot more to get an in-depth understanding of the internal environment of your body. Circulation to different areas of the body is a particular parameter we look at because without proper circulation it is impossible for nutrients to get to where they need to go. Clinical testing enables us to do the first part of our job as naturopaths, which is to figure out what is preventing your body from healing. Often clients come to us because they feel unwell but nothing is showing on their medical tests. This is the ideal time to use clinical naturopathic tests to investigate further and find out why you are experiencing symptoms of ill-health – before your body deteriorates to the point where a disease state can be diagnosed. Naturopaths optimise your body’s self-healing ability – and then teach you how to stay healthy. The second part of our job is to set about changing the internal environment of the body so that it can repair itself. This is achieved through expert advice on dietary change, targeted natural medicines, acupuncture and lifestyle advice. Normally clients either see our practitioner by coming for casual consultations (initially fortnightly, then monthly) or through a 12 month health program. 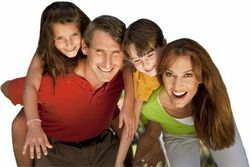 Our health programs are great value and also have the advantage of establishing a long-term framework to follow an action plan designed to restore your health to an optimal level. They also enable us to monitor your progress through regular testing. The third part of our job – which happens alongside the second – is to educate you on how to maintain your health long-term, so you don’t have to suffer from the degenerative diseases that afflict most people who consume the typical western diet and lifestyle. Below is a list of common conditions for which people come to see us for a naturopathic consultation. Of course, this is just a small sample – if your condition isn’t on this list it’s highly likely we can still help you. Give us a call on 03 9876 8786 or send us a message if you’d like to find out for sure. Our Naturopathic and Acupuncture clinic is located in Ringwood, in Melbourne’s Eastern Suburbs. We’re conveniently located in Ringwood, just off the Maroondah Highway Eastlink exit and only a short ten minute walk from Ringwood Train Station and Eastland Shopping Centre. We look forward to meeting you at the clinic soon! 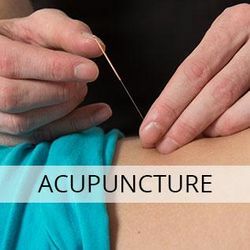 Scott Hankinson is an Chinese Medicine Doctor and Naturopath with over 21 years clinical experience in treating clients with a wide range of ailments. He is both a committed practitioner and a passionate, experienced teacher of natural therapies who has lectured at the South Australian College of Natural and Traditional Medicine, various TAFE institutions and in private seminars. He uses an intuitive approach that integrates Acupuncture & Naturopathy in response to your specific needs. *Our Program Guarantee is subject to you diligently carrying out your practitioner's recommendations. Please note that certain health complaints (eg, terminal conditions, arthritis and long-term degenerative complaints) are not covered by this guarantee. We often achieve vast improvements with such complaints but not necessarily within the first month. If you are unsure whether your complaint is covered, please ask your practitioner. All guarantee claims must be acted upon within the first month of treatment.. Serving the eastern suburbs of Melbourne: Ringwood, Knox, Belgrave, Warrandyte, Warranwood, Chirnside Park, Wonga Park, Research, Kangaroo Ground, Lilydale, Park Orchards, Croydon, Mooroolbark, Mitcham, Blackburn, Nunawading, Box Hill, Templestowe, Doncaster, Mont Albert, Surrey Hills, Balwyn, Vermont, Heathmont, Bayswater, Kilsyth, Boronia, Wantirna, Knoxfield, Scoresby, Ferntree Gully, Glen Waverley, Burwood, Mount Evelyn, Rowville, Lysterfield, Endeavour Hills, Dandenong, Upwey, Selby, Menzies Creek, Kallista, Sassafras, Monbulk, Olinda, Mount Dandenong, Ferny Creek, Sherbrooke, The Patch, Emerald, Cockatoo, Tremont, Seville, Woori Yallock, Healesville, Yarra Junction, Wandin, Silvan, Kalorama, Montrose, Coldstream, Macclesfield. 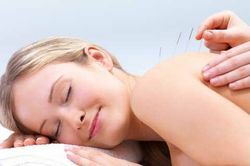 About Us Get outstanding results at our Ringwood Acupuncture & Naturopathy Clinic.